When you follow the recommendations, you can expect increased energy, better digestion, happier moods, better understanding of how your body works, relief from health symptoms and a solid understanding of how to eat in a way that enhances health, just to name a few! But don’t listen to me, read what others are saying. Is holistic nutrition therapy another type of diet? Holistic nutrition therapy is different from a diet because you won’t be counting calories and fat grams, or following a complicated food points system. We won’t be focused on deprivation either. We WILL be focused on introducing delicious, simple foods into your diet that feel right for your unique body. You’ll experience better health while actually feeling satisfied from the foods you’re eating. In addition, we’ll explore your unique challenges around eating well which may range from meal planning to emotional eating or lack of education around natural foods. Also, we will find ways to make your life more fun and fulfilling so that food is not your only comfort. Nutrition goes beyond the food on your plate. We will also discuss key areas such as career, exercise, stress and relationships because when these areas of your life are going smoothly, your eating habits are probably going well too. Are you covered by insurance or can I use my FSA or HSA to pay for your services? I am not covered by insurance but you are welcome to use your FSA (Flexible Spending Account) or HSA (Health Savings Account) funds. Contact your fund administrator to learn more about this option. People regularly use this option for my program and it works smoothly. You are able to use your HSA or FSA credit card as payment. Your fund administrator will share the details of your unique program, but usually you will need a doctor’s approval. I haven’t met a doctor yet who didn’t endorse their patient losing weight and/or working to improve their health symptoms. I will provide receipts for you to send to the FSA/HSA administrator. Just let me know how I can help facilitate this process for you. What is your background and how did you become a holistic nutrition counselor? When I was in my 20′s, I got into a pattern of regularly drinking soda, eating white flour, white sugar and processed foods. I gained 25 pounds and started to feel pretty bad physically and emotionally. I slowly started to buy bigger clothes and had forgotten what my body looked like underneath this extra weight. I was exercising very regularly and it didn’t seem to matter. During this time, I had lost confidence, frequently needed to take naps, felt emotional and depressed, experienced frequent cold sore outbreaks and was involved in relationships that weren’t healthy for me. And it was during that time that I discovered I had a gluten and dairy allergy. To learn more about my story, click here. Who will benefit best from one of your programs? If you answer ‘Yes’ to several of these questions, you will likely benefit from holistic nutrition counseling. Do you want to build a healthier relationship with food? Do you eat when you are bored, angry, sad or stressed out? Do you want to develop a deeper connection with yourself and others? Do you want to be inspired to cook healthy meals? Do you want more confidence, energy and self acceptance? Do you suffer from strong cravings which keep you from making healthier choices? Do you count calories and exercise regularly and still can’t lose the weight? Do you rarely feel satisfied with your food and always feel hungry? Do you know that natural foods are the way to go, but you are overwhelmed with where to start? Who is not likely to benefit from your programs? If you are looking for a quick-fix to your weight loss, this program is not for you. Making sustainable, lifestyle changes takes time. I am the long-term solution for your health and weight loss. If you are extremely disorganized and aren’t able to follow through on tasks, this would not be the best approach for you. If you’re unwilling to feel your feelings, this is not the best approach for you. If you’re unwilling to cook (or learn how to cook) this would not be the best program for you. How can I guarantee to get the most out of the program and reach my goals? The best way to guarantee your success is to follow the recommendations step-by-step and to be consistent with your appointments. Much of your success depends on YOU. Also, it is very helpful if you’re honest with me about what is working and what is not. I regularly check in with my clients to make sure they’re receiving the support they need to be successful. Why will this program work for me when nothing else has? This program is different because it is focused on bio-individuality which means that no perfect way of eating works for everyone. I’ll introduce you to some of the most nutrient-dense foods on the planet prepared in a delicious way, and you’ll find that you start to feel satisfied, your cravings reduce and you have significantly more energy. And another way this program is different is that I believe in flexibility meaning 90% of the time eat whole, natural foods and 10% of the time just relax and enjoy your favorite foods. Give your body what it needs, and it will respond beautifully. Plus, you’ll be addressing the root causes of your relationship with food. Until you address and begin to heal these challenges, it’s very difficult to make sustainable change with your eating. I am familiar with what it’s like to work with a nutritionist, how are you different? I will be answering in general because nutritionists are unique in their approach. First, let me say that they do great work. Nutritionist are licensed with the state. I am certified in holistic nutrition which is different from holding a state license in nutrition. I studied with some of the top holistic MD’s in the country at the Institute for Integrative Nutrition in NYC and was trained in a unique approach to nutrition. I do hold a state license in marriage and family therapy. I am different in that I don’t focus on counting fat grams and calories, nor do I give meal plans. I provide you with 80+ delicious recipes as well as very specific action steps after each session. So there is no lack of clear direction. The reason I don’t provide meal plans is that I teach my clients over time how to create their own healthy meals. My goal is that you become confident in your food choices so that you don’t need me anymore. I am also unique in my approach in that I really get to know my clients so that I can help them discover what unique challenges are keeping them from being successful. My being a therapist is incredibly important to the success of my clients because I can help you to explore the real reasons you’re not nourishing yourself with whole foods. We may explore topics such as how to overcome emotional eating or how to free yourself from intense shame. I find my approach is holistic because it addresses you as a whole person, not just as an eater. You say you offer phone, skype and in-person sessions. Is there a difference in these options? There are no differences in these options. If you want to avoid being stuck in traffic or you have a very busy schedule, be sure to request a phone or skype option and enjoy the program from the comfort of your own home! 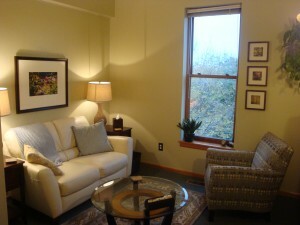 The cost of the individual counseling program is $1600 and can be paid in 4 installments of $400.00. After the initial 4 month program, you can purchase sessions for $130.00 each or a package of 3 sessions for $360.00, which saves you $30.00. The packages do not expire and you don’t have to schedule all 3 sessions when you purchase the package. I am not sure I can afford the program right now. Do you offer extended payment plans? Yes! I offer extended payment plans based on individual needs. If you truly want to be engaged in nutritional counseling, I’ll do my best to help you find a way to make it possible. Please contact me to discuss further. Did I not answer your question? No problem, just email me or call 651-231-1360 and I’d be happy to help. If you’re ready to find out more, simply click here to schedule your 60-minute, free session.